[dt_gap height=”10″ /]I flew to Geneva airport in Switzerland which is about an hour drive from Samoëns, across the border in the French Alps. I didn’t really know what to expect, but it’s basically a ski resort without snow. The temperatures were late teens to early twenties on sunny days (at the beginning of September) and quite chilly after sunset, coupled with the fact we needed gear for yoga and hiking made packing only hand luggage for five days rather difficult…but, you know, I soldiered through. 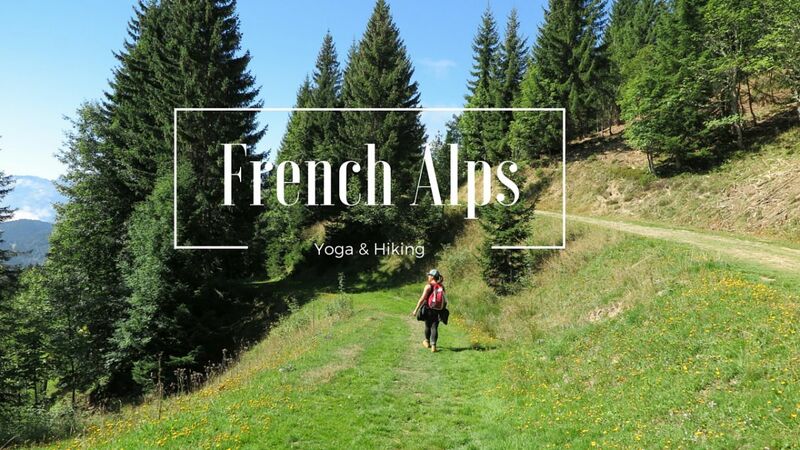 Read the rest of my post about yoga and hiking in the French Alps the here. [dt_gap height=”10″ /]I upload new travel videos weekly on Sundays at 9am (GMT) and #TutorialThursdays every week on, er, a Thursday. Here’s my first make up tutorial video using my holy grail products. Don’t forget to subscribe to my YouTube channel for new videos or you can sign up here to my mailing list for links direct to your inbox.